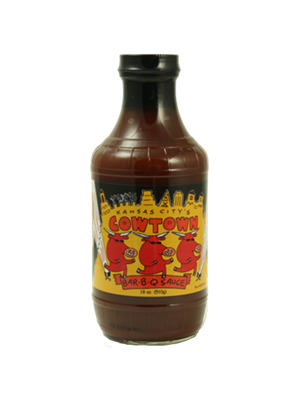 Cowtown Bar-B-Q Sauce is a past winner of the "Best Sauce on the Planet" Award at the American Royal Barbeque Contest beating out hundreds of other sauces from around the world! Try this zesty, tangy product with beef, pork, poultry or fish. 18oz. Tomato paste, white vinegar, brown sugar, spice blend (salt, garlic powder, onion powder, sugar, brown sugar, ancho chili powder), mustard flour, natural smoke flavor, salt, onion powder, molasses, garlic granules, tamarind concentrate and spices. This is my favorite sweet KC style bbq sauce. Great flavor....Cost Plus stopped carrying it so now I have to order online, ugh. Great on pork ribs!! !